Dedicated Services: Let us show you how having your own dedicated fleet can lower your transportation costs while meeting and exceeding your customer's demands. This program allows you to manage your equipment and drivers for immediate availability, without the costs of maintaining a fleet. Smaller companies can now reap the benefits of dedicated fleet services. 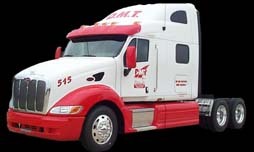 Drop Trailers: Volume justified, DMT Services, Inc. can install drop trailers at your location for loading or unloading at YOUR convenience. Never again have your personnel idle while waiting for equipment to arrive. It's there when YOU need it. Track and Trace: Coming soon to this website. This password-protected feature will allow current customers with Internet access immediate information as to the status of their shipments tendered to DMT Services, Inc.
Omnitracs (Formerly Qualcomm): We utilize Omnitracs MCP-110 system for all our dispatching and load tracking operations. Current load status is never more than a phone call away. This real time communications tool allows changes in pick up and delivery instructions and equipment diversions while never bringing the shipment to a stop. Pinpoint locations and constantly updated ETA's allow more productive scheduling of manpower and resources. Omnitracs’ Hours of Service application provides near real-time tracking of drivers' hours, more efficient fleet management, increased reporting accuracy and improved compliance with Federal Motor Carrier Safety Administration (FMCSA) regulations. More efficient fleet management and increased productivity. 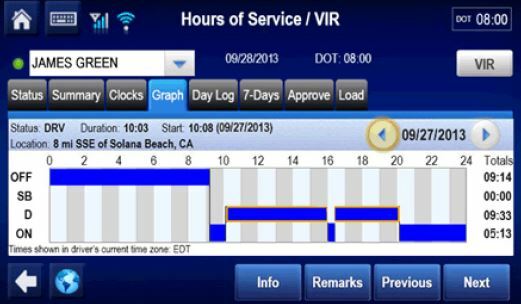 Improve reporting accuracy with near real-time monitoring of drivers’ hours. 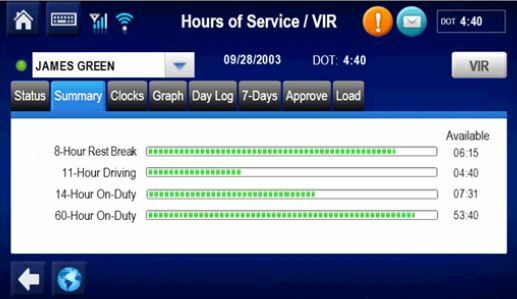 Update fleet managers automatically with duty status, driving time, and remaining hours of service. Access driver availability, driver-management and safety-audit reports. Save time and money by eliminating paper log processes. Dispatch drivers with greater efficiency and more accurate planning. Improved safety and compliance with FMCSA regulations. Notify both drivers and dispatchers automatically, in near real-time, of impending or actual violations. Remain up-to-date with FMCSA rules and regulations, automatically. Reduce the risk of data entry errors and non-compliance citations or fees. Manage compliance much more easily with automated mobile computing. Simplified and improved log processes and reporting accuracy. Drivers enter non-driving duty status changes through the intuitive, easy-to-use driver display. Skybitz Trailer Tracking - The SkyBitz® Falcon GXT3000 is an affordable and customizable asset management solution that provides accurate, real-time data to enable business managers to make big decisions that impact the bottom line. It is ideal for operations that require frequent reporting on the status of mobile assets for increased visibility, security and utilization. 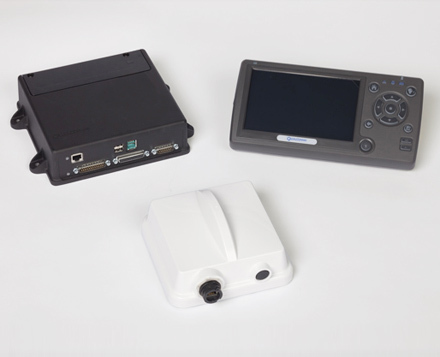 The GXT3000 operates on a 3G/ 4G cellular network and provides seamless North American cross-border coverage. It delivers real-time tracking and information management solutions that provide a clear line of sight to mobile assets anytime, anywhere. The GXT3000 is specifically designed to help companies manage their businesses more effectively by improving their bottom line and customer service.